Dial Miracle Oil infused with Marula Oil Hand Soap Review! Dial is a part of my families cleaning routine; from hand washing to bathing Dial has the products we choose for our family! 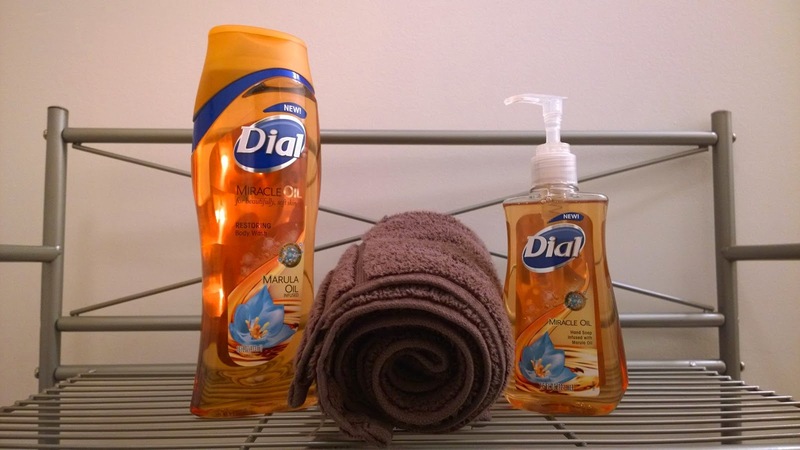 I am always looking for new scents and new products to try from Dial; so when Dial's new Miracle Oil Hand Soap came out I just had to try it! We just got to try the Dial Miracle Oil Body Wash check out our review here. The scent and moisturizing benefits of Marula Oil are divine. Miracle Oil Hand Soap is infused with Marula Oil to nourish and deeply hydrate your skin while protecting it from skin-damaging free radicals. For more information on Dial Miracle Oil Hand Soap go to Dial's website here. Our experience with the Miracle Oil Hand Soap was great it cleanses and disinfects and the kids love the color. They call it gold soap I told them if they used it they would get rich.